One of the earliest such maps was TransforMap, a project with origins in Austria and Germany that is using OpenStreetMap as a platform for helping people identify and connect with alternative economic projects. (…) As the varieties of maps proliferate, there is growing concern that the mapping projects truly function as commons and be capable of sharing data and growing together. But meeting this challenge entails some knotty technical, social and legal issues. A group of mappers met at the Commons Space sessions of the World Social Forum in Montreal last year to try to make progress on the challenge. 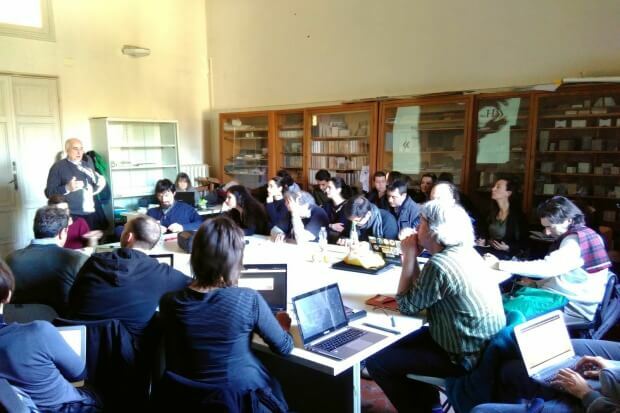 The dialogues continued at an “Intermapping” workshop in Florence, Italy, last month. After days of deep debate and collaboration, the mappers came up with a document that outlines twelve key principles for developing effective data and mapping commons. Read more and discover the charter.